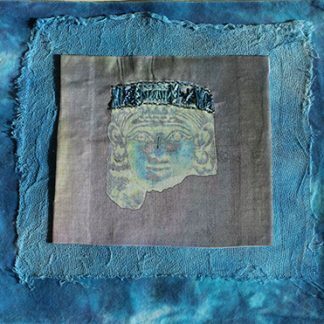 This handmade embroidery is a creative piece of wall art inspired by a stone statue. 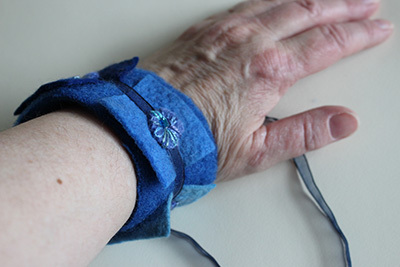 To make it I printed an image onto organza, then stitched in hand-dyed threads and beaded the headpiece by hand using contemporary stitching. This is a unique handmade item as no two pieces are ever quite the same. 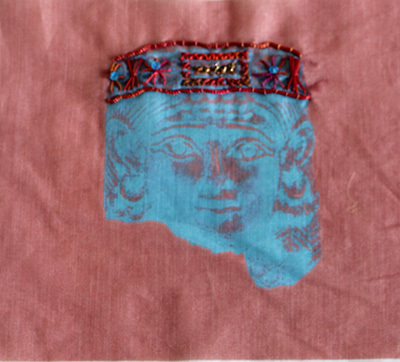 This textile wall art is on a piece of organza, which is un-hemmed. You might frame it or mount it as a piece of art. You are buying the hand stitched textile art only not a frame. It could also be used to make a bag, cushion or a centre piece for an innovative quilt for your own personal use not for commercial use. 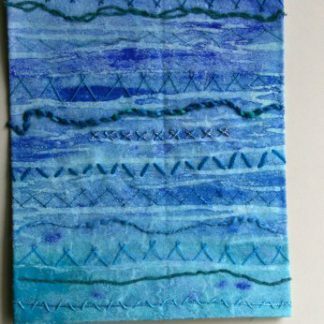 As a textile artist, I am interested in portraying emotion, texture and using contemporary stitch as a means of expression. My stitching is entirely spontaneous. The actual printed area measures approx 20 x 18cm (approx 8 x 7 inch). A certificate of authenticity will be provided with this work of art.